Ratchet Lever Hoist can be used in confined spaces. 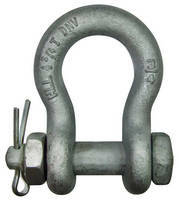 Ratchet Lever Hoist is available in Â¾- and 6-ton capacities. 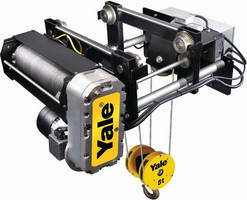 Variable Speed Air Chain Hoist consumes 48 cfm of air. 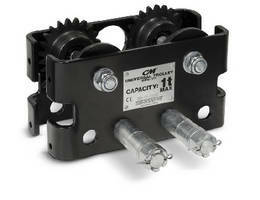 Universal Trolley fits virtually all hoists. Trailer Ratchet offers safe alternative to standard crank. Designed to fit allÃ‚- trailers andÃ‚Â all standard landing gear,Ã‚Â Sixth Wheel Ratchet enablesÃ‚Â truck operators to use ergonomically correct posture, utilizing body weight while minimizing muscle exertion to reduce risk of injuries. Made from hardened steel, self-locking security pin and cap can only be removed by using heavy-duty shop equipment. 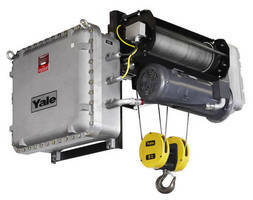 Electric Wire Rope Hoist comes in explosion proof version.